I’m am regularly driven insane by email marketing that is written by people who remain clueless, even though by Internet standards this industry is incredibly mature. An email featuring NBC Sports just happened to be my tipping point. NBC Sports fail is related to website user experience; the United States Equestrian Federation is responsible for the email marketing fail. A quick scan does not show Seattle in that list. But I dutifully clicked the link, in hope. Don’t you think it would make sense for that link to go straight to the list of TV markets? I know, I know, what an unreasonable expectation, that an organization would put the customer first, that a link would reflect the copy written around it. (That was sarcasm, in case you missed it.) But at the very least, don’t you think that there would be a link on the NBC Universal Sports home page that said something like “where to watch”? In either case, you’d be wrong. I didn’t see anything that looked like “where to watch” in the primary navigation so I fast-forwarded to the bottom of the (very long and busy) home page. After scanning this several times, my eye found “Channel Finder”. (Can you find it?). That seemed like a pretty close match to “where to watch” so I clicked it. Alas, not working. At this point, in the normal state of affairs I would have bailed. But my friend asked if I could record something for her. So I was inspired to persist. I went back to the top navigation. It’s not an intuitive path to me, but if you click on “What’s On TV” you will find a link for “where to watch.” (Yes, that’s the only possible “guess” but it is a guess.) From this page (three levels deep) I get to pick a state by name (designers: grey-on-grey doesn’t provide great contrast). By the way, if your eyes are really good or you aren’t too task focused, you might see the link “enter your zip code here.” It won’t help – the page is a 404. What’s fascinating is it is not the same link as “channel finder” (which goes to a third party site). How can you have two different “where to view” links and have both broken? Don’t get me started on developer-based URLs (versus user-centered and readable URLs). And backing up to http://universalsports.channelfinder.net/ doesn’t work either (screen grab). Totally bulk email is bad, especially when it’s opt-in. You need to customize the email experience to minimize how much work (effort) you’re asking of your customers. To help do that, buy Steve Krug’s Don’t Make Me Think (Amazon). Don’t lie with your links: make them go where they look like they will go based on context, whether that’s on a website or in a marketing email. Set up links to match user tasks (and mental models). Key links — the ones that enable your audience to find what they’re looking for — need to work. Key links — the ones can can be used to measure audience engagement — need to work. 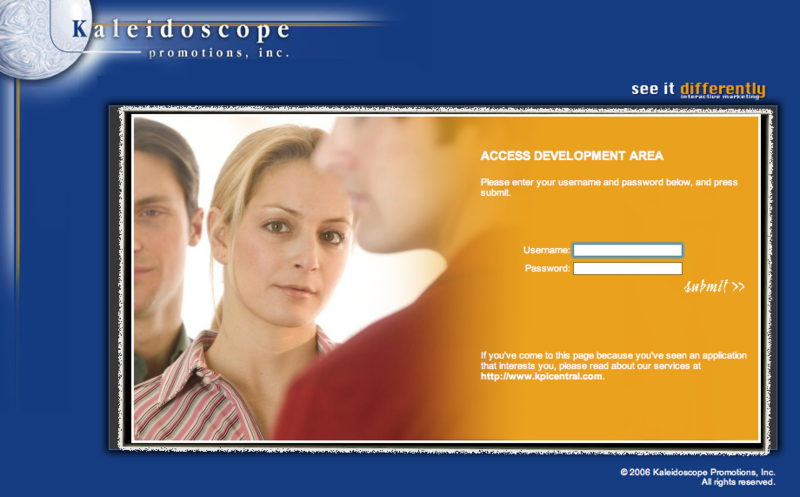 Hire an external user-experience consultant to help you design your website so that non-insiders can find information. My friend, who also lives in Washington, received the promo from the United States Equestrian Federation (USEF). How difficult could it have been for USEF to (1) send this “bulk mailing” only to people in states where the service is available and (2) to include state-specific information about how to access the show in their state? All it requires is being able to sort the mailing list by state. The firm that manages the USEF digital promotion is VerticalResponse. We’ll see if they have a Google Alert and will shine some light on this (although I’m guessing that they just handle the technical details, not the copy). To add insult to injury, the advertised event was not broadcast in the Seattle market. So even after doing all that work to figure out the channel that might have it, we still couldn’t watch or record.